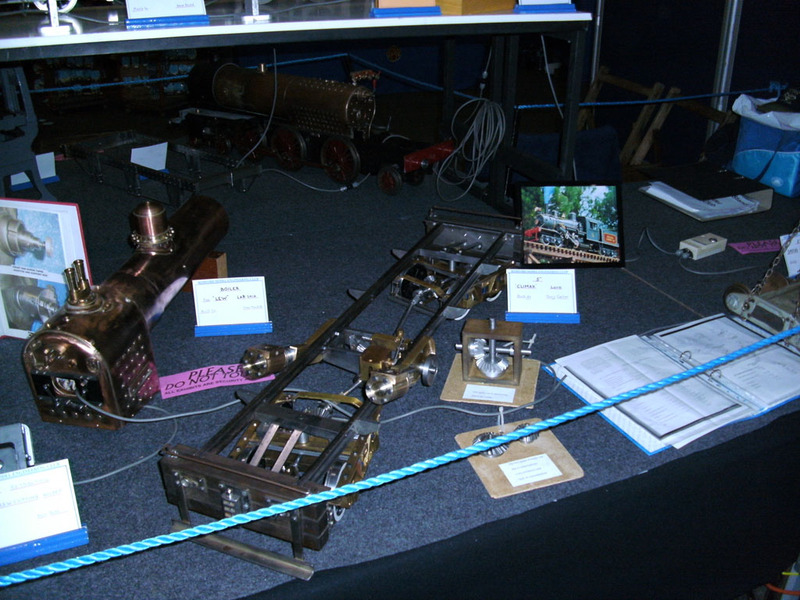 Romford Model Engineering club has a long history of displaying the work of it's members at various relevant Model Engineering Exhibitions. In fact Romford MEC organised their own exhibitions as early as 1935 and this continued annually until Dec 1938. The war interupted these events but they were resumed again after hostilities. A Model Engineer magazine of January 13th. 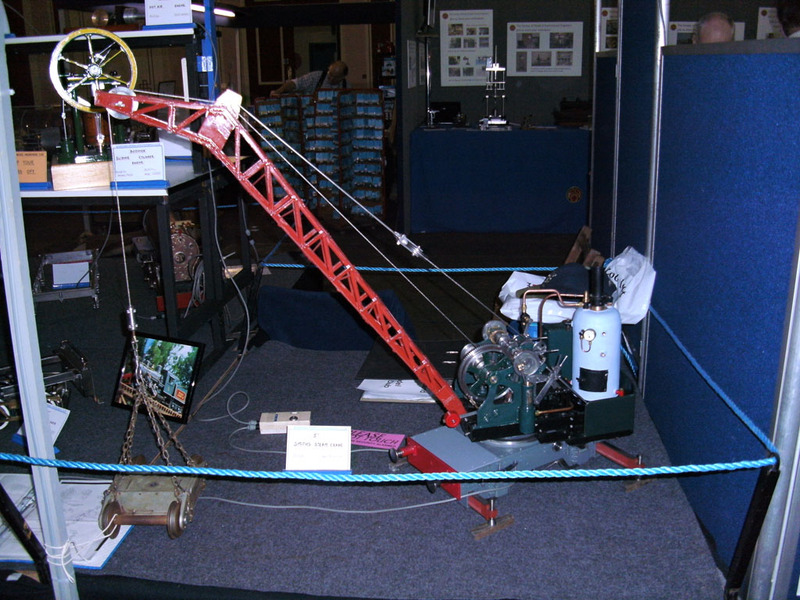 1949 has a report of the 'second' post war Romford Model Engineering Club exhibition which was attended by some two thousand visitors. 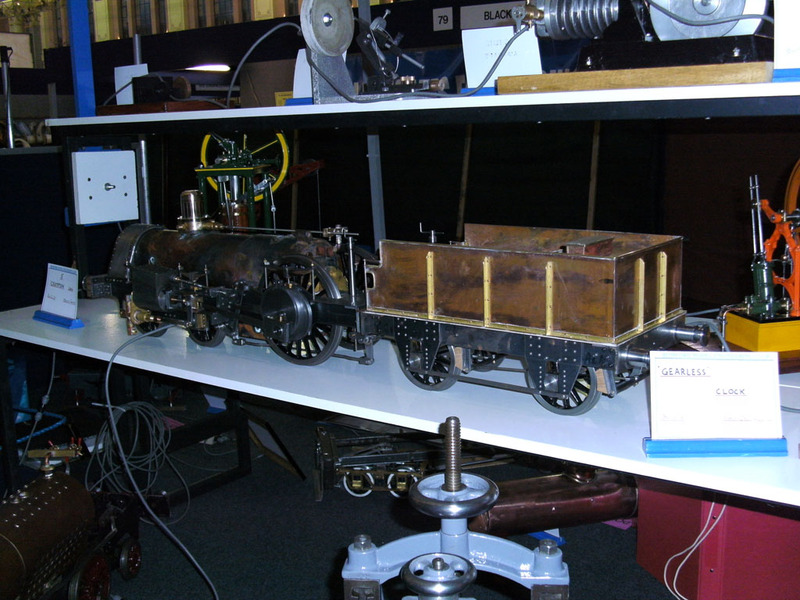 Model Engineer magazine has kindly given us permission to reprint the report here. 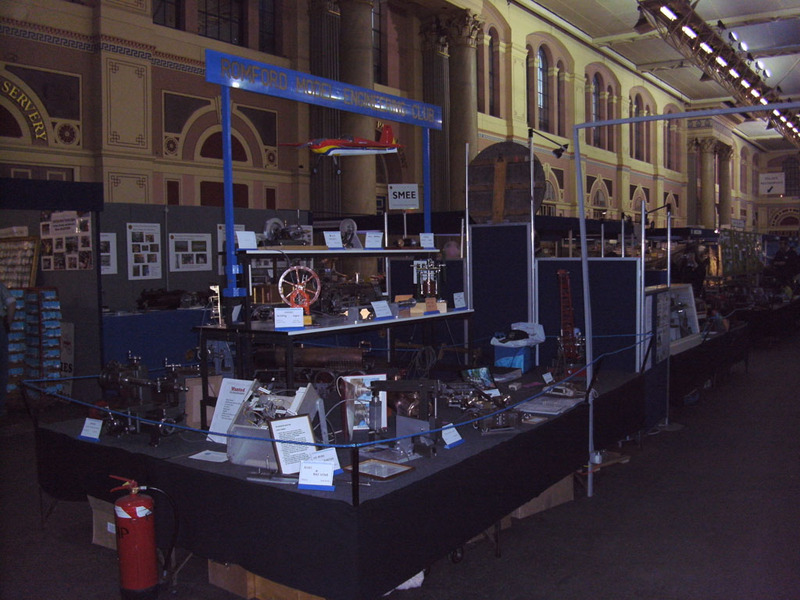 This year we attended the London Model Engineering Exhibition in the Great Hall, Alexandra Palace, London. 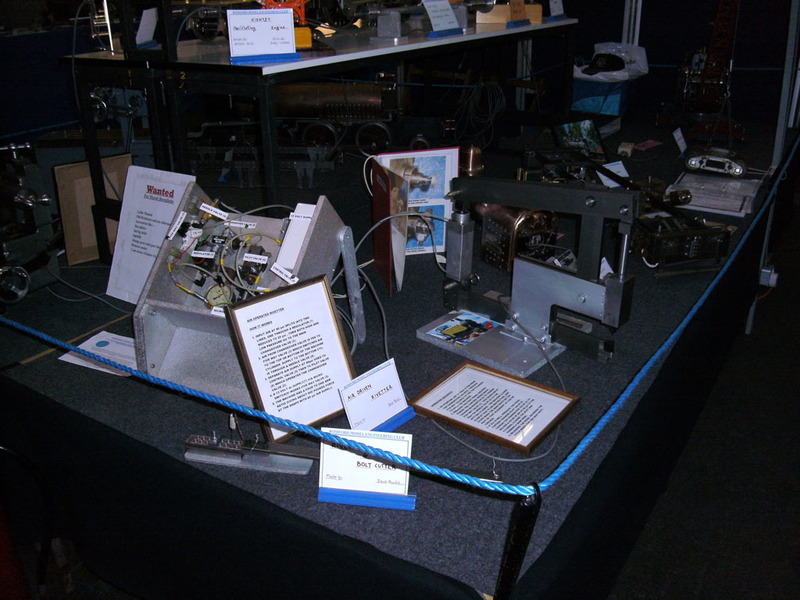 We exhibited 18 items which showed typical examples of the wide range of work and the varied interests of club members. 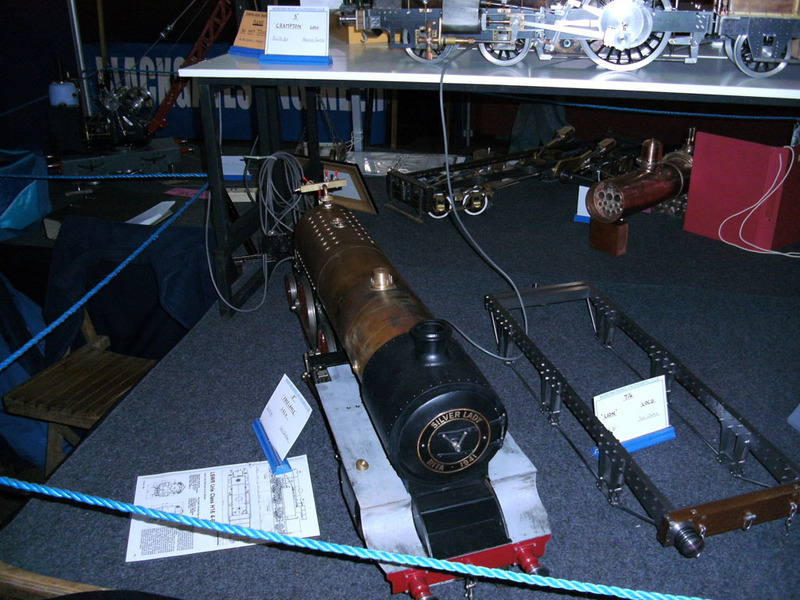 There were locomotives in various stages of completion a Crampton, Climax, Lion, a Freelance, and a LEW boiler. 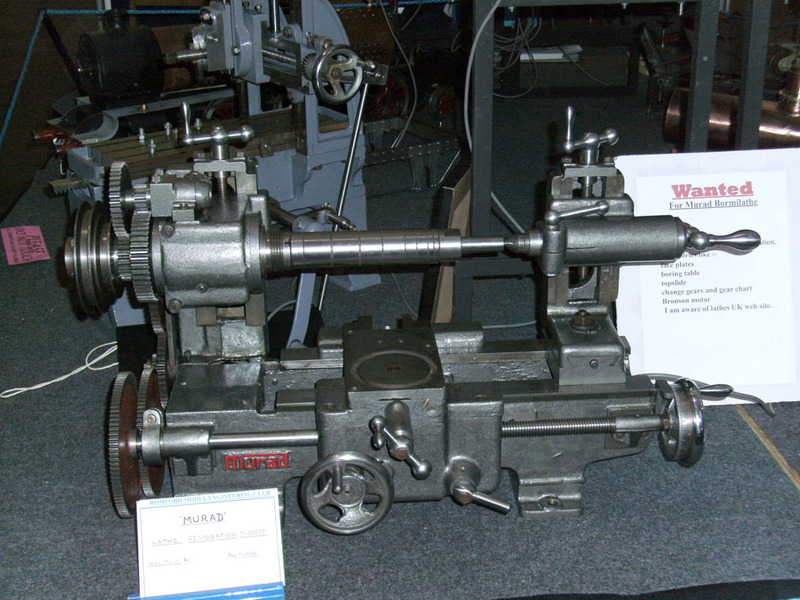 Machine tools exhibited were an Air Driven Rivetter, Drill Sharpener,Rivet and Bolt Cutter,Thin Piece Turning Attachment a Restored Tom Senior Planing Machine and a Part Restored Murad Lathe. 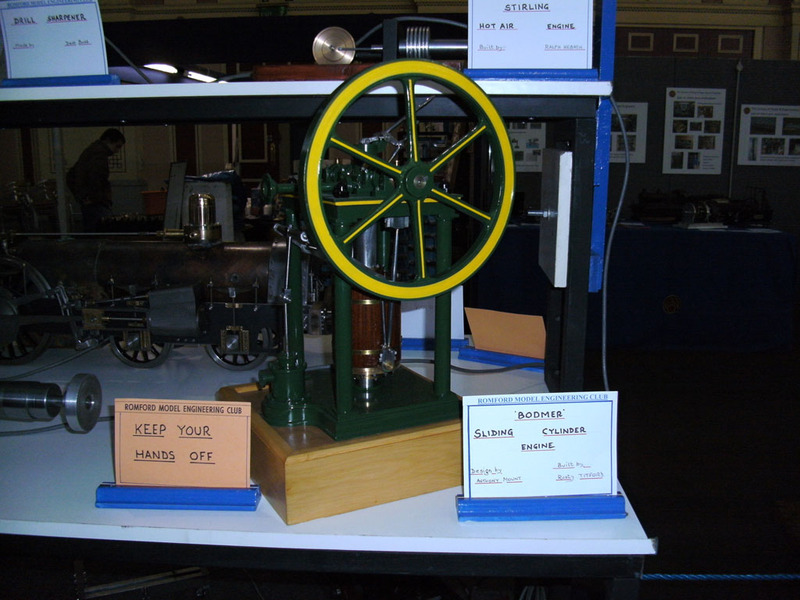 Club members exhibited model stationary engines, an IC engine, a Stirling Engine, a Dodmer engine and a Kientzy engine. 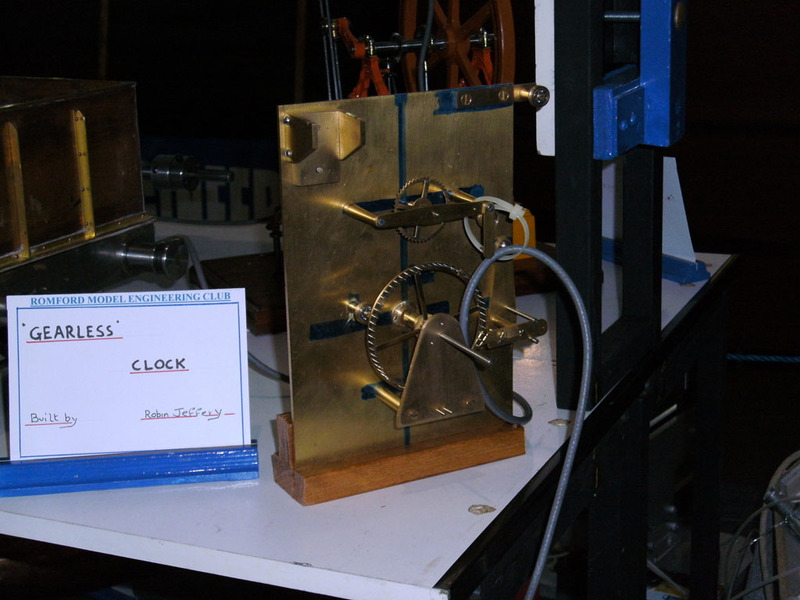 A 5inch gauge steam crane, a gearless clock, and a G Fliite aircraft were also exhibited. 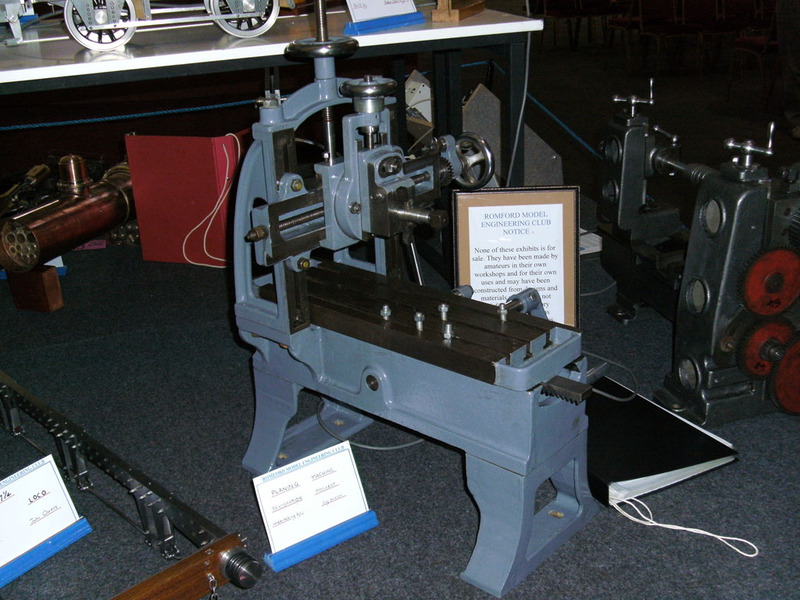 Images from the exhibition below can be enlarged by clicking on the picture. 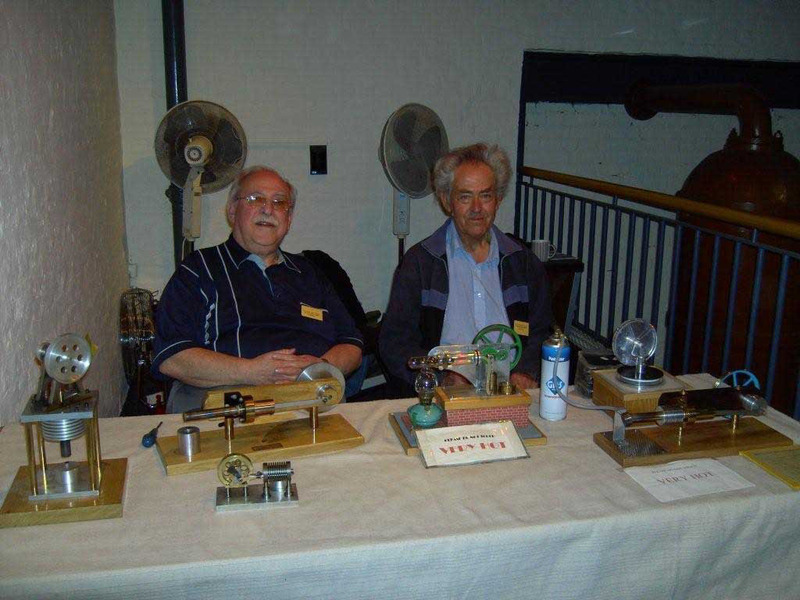 Two members, David Nunes and John Greenslade of the Romford model Engineering Club exhibit each year at the Kew Bridge Steam Museum's Stirling and Hot Air Engine Rally. This year they showed and ran six (three each) of their engines.